Be careful out there, social media armies are ready to attack YOU if you dare to challenge their point of view. No, I’m not talking about the presidential or midterm elections. I’m talking about pop culture fans, known on the internet as ‘Stans’, who are informed and committed to their star of choice but also could be described as obsessives, who, as said in Wired Magazine, “comb over every interview and shred of non-news for information about the object of their adoration.” Adoration like this is directed at artists—think Lady Gaga (Little Monsters), Beyoncé (Beyhive), Nicki Minaj (Barbz), One Direction (Directioners), Justin Beiber (Beliebers) and Taylor Swift (Swifties), movies—think Star Wars, Marvel, DC, and TV shows—think The Walking Dead, Once Upon a Time, among other cultural phenom. When a Nicki Minaj fan commented critically about a new album, the Stans came for her via social media, email, text—even driving by her home, and ultimately causing her to lose her job in the music industry. When Kelly Marie Tran played a role in a Star Wars film, Stans relentlessly attacked her for diverting from their interpretation of the character—because of the color of her skin, causing her to quit social media. When a Ghostbusters remake featured women as the lead characters, the Stans created uproar—aimed most specifically at Leslie Jones, who for a time quit social media—because of the actor’s genders. When Taylor Swift vocalized her political thoughts online, including where her vote would be directed and why, her legions of fans deployed negativity on every social media channel of the opposing political opponent—when Swift’s message was to get informed and vote, not attack dissenting opponents! Simply put, the Stan Armies are easily out of control. Sometimes this is because the celebrity has asked his or her army to deploy their ire, but more frequently, the Stans take a stand where they have not been asked and do so with an intense fervor that is somewhere between unsettling to terrifying for the object of their hate. Does your child have a favorite musician? Does he or she consider themselves a Stan? That’s fine if they are—it can be great fun to be an over-the-top fan with others. But, do the rules of engagement as to how your child behaves online change when he or she is part of a fan army? There is something about being a member within a large group that feels anonymous and somehow encourages people to behave differently than they would in a face-to-face interaction, usually for the worse! As a Digital Parent, you need to remind your child that how we treat each other online has a lasting impact as to how we view and treat each other in real life. 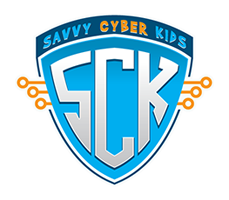 After all, teaching respect and empathy are key components of raising Savvy Cyber Kids. If your child is part of an online fandom, he or she needs to understand that they must treat friends AND strangers without vitriol—no matter about uninformed opinions that makes your child’s blood boil and or if others are already doing it. Why express yourself in this way when you can you can choose to voice yourself without the negativity? What does it mean to be a fan—and how do Stans take it to another level? Discuss missteps made by celebrities when they rile up fans. Discuss how celebrities handle negativity on social media directed at them and what lessons your child can apply to their own lives. To treat everyone they interact with respect. The reality is that online fandoms can only be reformed from within. So teaching your child to be a Stan who respects and stands up for others can be the first step to reigning in the negative aspects of Stan Armies. Talking about Stans is a GREAT opportunity to continue to have ‘The Tech Talk’ with your child. They care about pop culture and can better understand the context of cyber ethics and social media empathy when its applied to something they are already passionate about.